His hands both dripping red Captain Furian Reneil was an imposing site as he moved down the corridor. His armoured bulk forced ratings and others of the crew on Port Talpa out of the way. Trentz and Solewitz were among the most experienced of the ratings aboard the ship. Even so they widened their eyes upon seeing the armoured bulk of the tall space marines. Furian looked down at them as he turned to face the door. It was no different than any other door except it had two ratings guarding it. Looking back at the Captain it was a moment before either of them got coherent thought back. Then Trentz snapped out of his daze and flipped the switch that opened the portal. As the door moved to the side, the Astarte warrior moved through it and soon looked down at Inquisitor Duhr as the latter read through information and reports on his data slate. "You were right about the ones lurking in the hangar deck. They had not gone far enough yet to really corrupt the majority of the ratings and now they never will," said Furian. "And . . ." Duhr said more than asked. "And . . . you were right about the Death Guard. When the Bitter Enmity came into system we received your call. I would imagine that it was something you sent that drove Brother Lemaetus to bring us to this system in the first place," the Furian said. 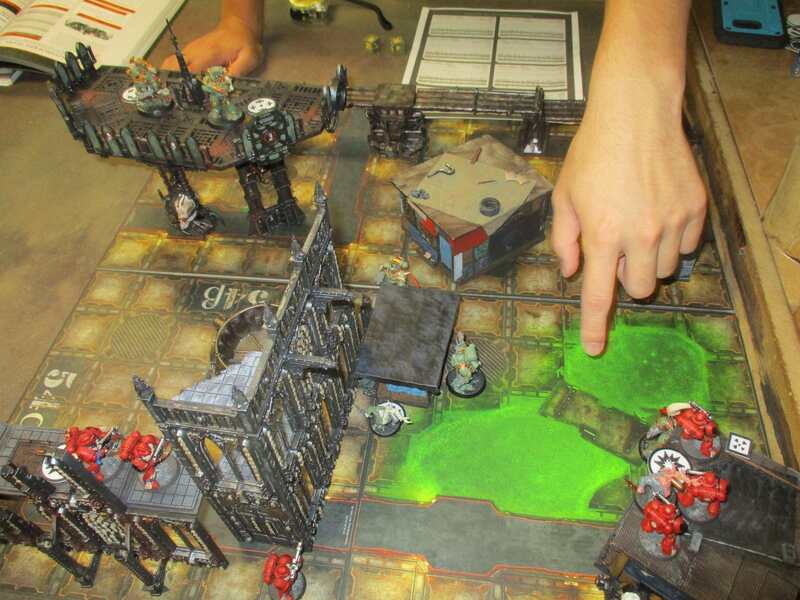 He said, "I threw up a cordon of patrols around the epicenter of the xenos uprising. One of my scout patrols reported seeing the movement towards them and I ordered them to engage and take prisoners if possible." Duhr looked interested at the prospect of a prisoner. "They were Death Guard and some of their corrupt minions. The scouts engaged at range, not wanting to expose themselves to the poisonous wind coming from the enemy. Despite this the enemy engaged." "The fighting was mostly desultory. The Death Guard are notably resilient to our fire power. A few of my men briefly engaged them in melee. No prisoners were taken but we lost no one in the short engagement." "This raiding party had some objective in mind. They were trying to move to the Kroot. I doubt they planned to engage them in combat, why would they go out of their way to help us put down the rebel xenos?" Duhr cut in, "I have not yet discerned the intention of the enemy in this. From what I've seen so far their tactics are more in line with what we have come to expect from the Word Bearers or the Aplha Legion than the Death Guard." "Those were not the only Death Guard on Datros, either, were they Captain?" Furian pursed his lips ever so slightly before saying, "No they were not. I have had my men patrolling the undercity in the colony hive." "There was some confusion when two of my patrols met each other after each chased a small group of suspected cultists into the same location." Furian ignored him and continued, "A number of the cultists were slain while trying to destroy a fuel depot." 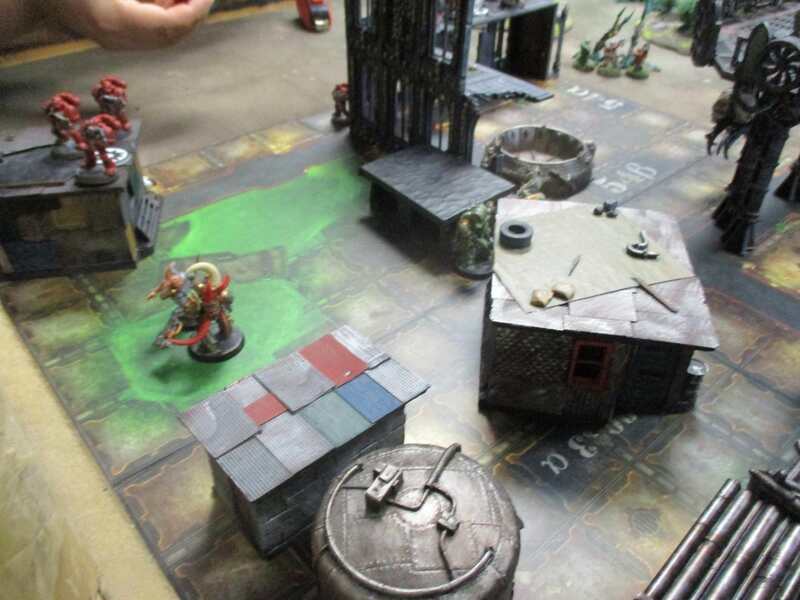 "Another group ran into a group of Death Guard in a shantytown. They seemed to be in the process of attempting to mutate the population." "After a brief confrontation my men were driven off and I sent another force in later only to find the place deserted and all the inhabitants slain." Duhr rose and typed away at his data slate as he did so. A 3D map of the planet Datros appeared out of the device. 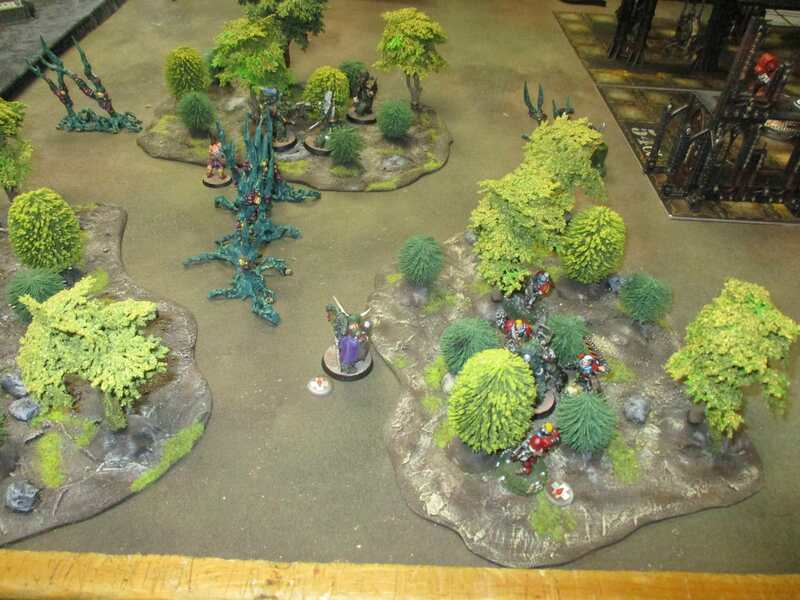 "At this point I believe something like 60% of the Kroot population is in arms against us. We can hold out against them in the main settled areas but the outposts will fall." "If the rising becomes larger we will lose the colony itself and will have to bombard the planet. That would be a pity, but not my primary concern." "All we have to do is figure out what the Death Guard want out of all of this and how they plan to achieve it." 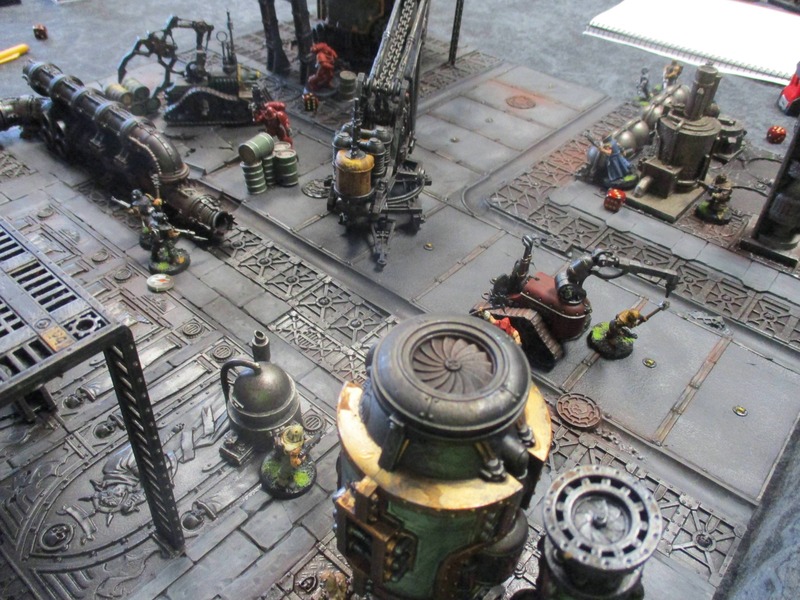 These were some of the battles from our first Kill Team campaign day. It went pretty well. We had about a dozen people show up over all. Of campaign players we had 2 Death Guard, 3 Blood Angels, 1 Chaos Cultist and 1 Astra Militarium. I'm not sure when the next one will be but I will be finishing up my Rogue trader ship crew tomorrow, they will be playing the next time we get a game in. Q. Is Kill Team roughly Necromunda but with trained fighter? Kill Team is sort of Necromunda but has less details in the combat and the role playing aspect is much less in place. For example there are extra stats in Necromunda that don't exist in Kill Team for mental attributes. 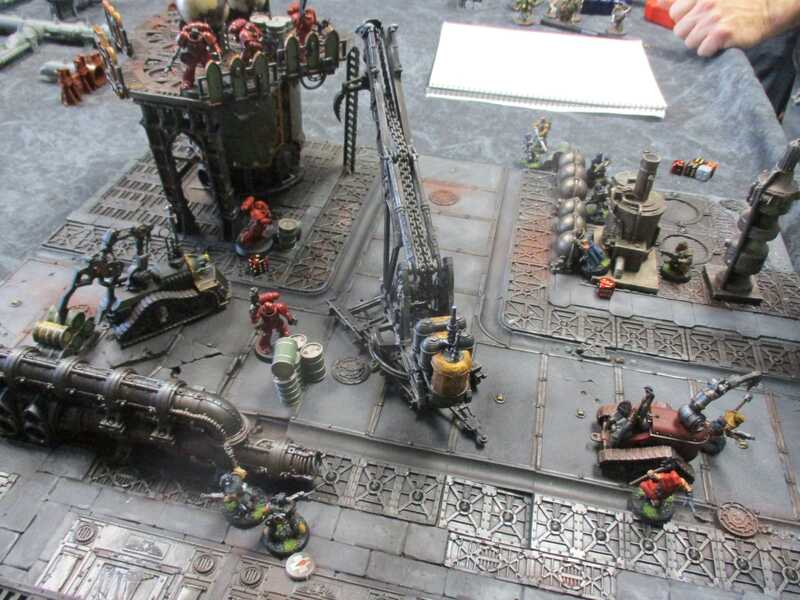 Kill Team has advancement for both the characters and the extras but it is not as detailed as the advancement in the campaign part of Necromunda. Kill Team is more like 40K than Necromunda. It is skirmish 40K with specialists added and skill trees for those specialists. It has a campaign system in it which is quite clever for how simple it is. The campaign system would lend itself to a one day campaign among a small group of friends more than what we are trying to do here as it is one of reduction. You start with an amount of resources and then if you lose a game you lose resources. The last person to drop to zero in a resource wins. Your models gain levels or abilities as they go but if they die you can bring the exact same model on for the next game only at a beginning level. If it isn't a character you may be able to bring it on at exactly the same point if enough other models survived. In Necromunda the gangs gain and lose resources rather than just losing. They have characters that gain skills and equipment as they go and if they die, you can't just bring back the same guy, you have to purchase another one and you have to have the credits to do that. z.B. 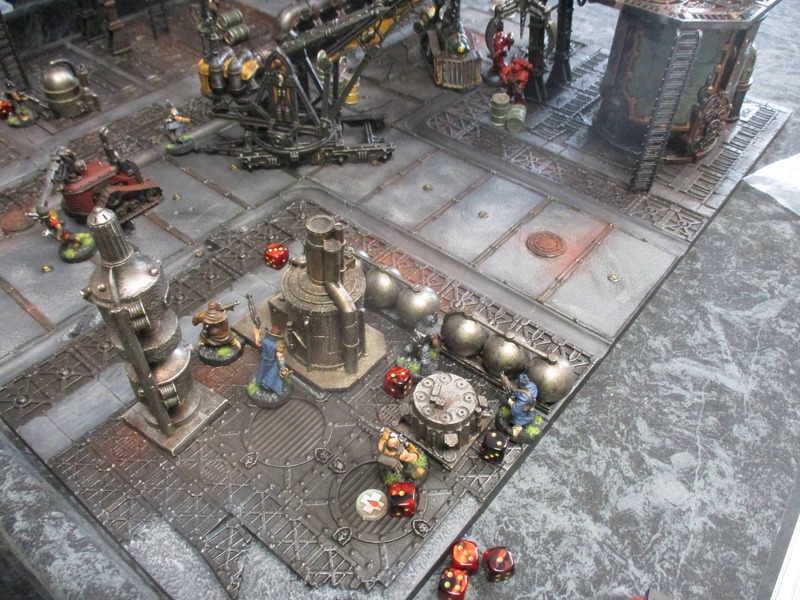 – In Kill Team I have 10 space marines in my 100 pt force. 4 of them are specialists, 4 of them are Reavers and 2 are Intercessors. After a couple of games 2 of my specialists are Lv. 2 and my Reavers have gained 1 special ability. On my 3rd game one of the Lv. 2 specialists die and 2 of my Reavers are killed. Not only do I go into my next game with 100 pts in my force as I have with every game, I can bring the specialist right back into my force as a new guy but he would be at Lvl. 1. Since I have 2 Reavers left in that Kill Team I can bring 2 more back and they will all still have that special ability. If I had 3 reavers killed I could only bring 1 back with that special ability but could add 2 additional reavers with no special ability. In Necromunda I have a gang of 10 that is doing pretty well but I don't have much of a reserve of credits as I kitted out my gang to the max and have a large number of gangers. Then I have one game where 80% of my gang goes out of action, 2 of them go into recovery and 3 of them actually die when the results are rolled. Now the 30 credits that I have left are all I can spend to bolster my forces. So for my next game I can't use the 2 guys that are in recovery, the 3 dead ones are just dead, so I only have my remaining 5 guys plus whatever I can buy for 30 credits, likely a juve with a slingshot. Thanks for the enjoyable AAR and pictures. 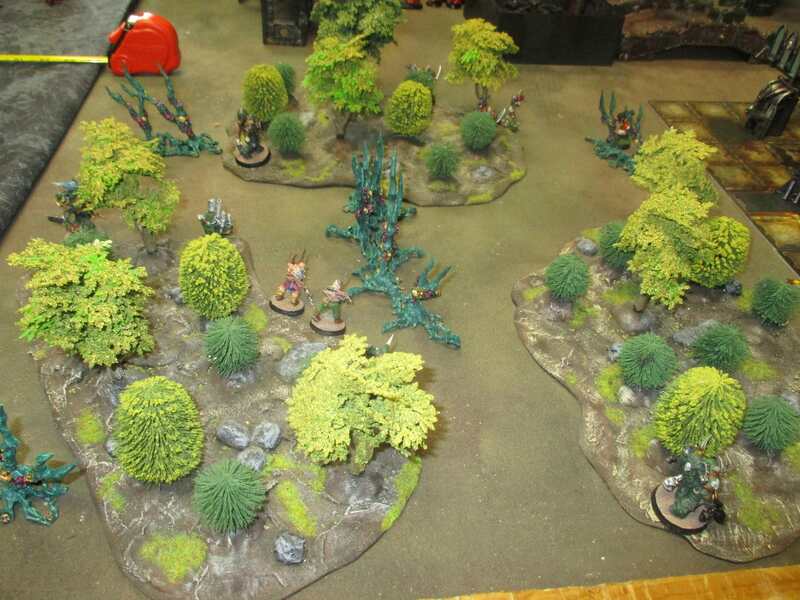 Great looking terrain!